Cougars have been rarity in Illinois after the expansion of ranches and farmland there in the mid-19th century, demonized and treated as a problem predator. Sadly, that sentiment survives today. On Wednesday, a farmer called to report a cougar walking on his property near the rural town of Morrison, 130 miles west of Chicago. A conservation officer from the Department of Natural Resources (IDNR) was dispatched to the farm and the animal was discovered hiding inside a concrete tunnel nearby, posing no immediate threat. According to the Chicago Tribune, the farmer requested that the animal be killed, and the conservation officer complied, firing on the cougar with his rifle. 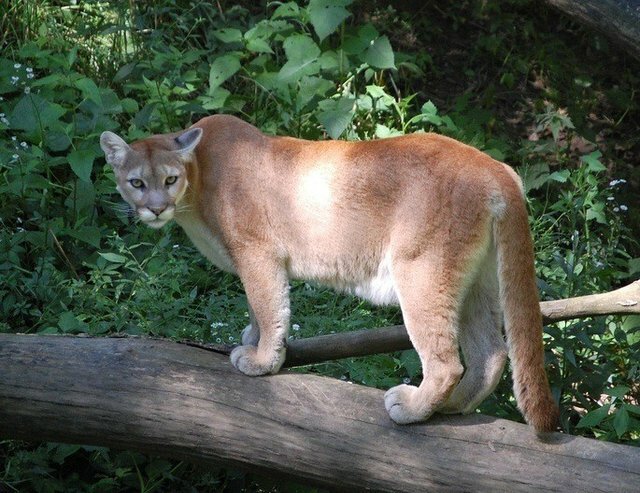 Bruce Patterson, a wildlife expert at the Field Museum of Natural History, says that the decision to use deadly force on the cougar defies explanation, particularly since it wasn't acting aggressively. "I can't figure out why this animal had to be shot," he says. "It's possible to manage wildlife while still keeping it around." A spokesperson for the IDNR, Chris McCloud, defended the action as the only one available at the time. Officers are not trained to use tranquilizers, he said, adding that the chemical can be fatal if administered incorrectly. The previous encounter with a cougar in Illinois occurred in 2008 on the North Side of Chicago; that animal was also deemed a threat and shot by police. Experts believe that there are no longer cougars living in the state, and that those discovered in recent years may have originated from as far west as South Dakota.